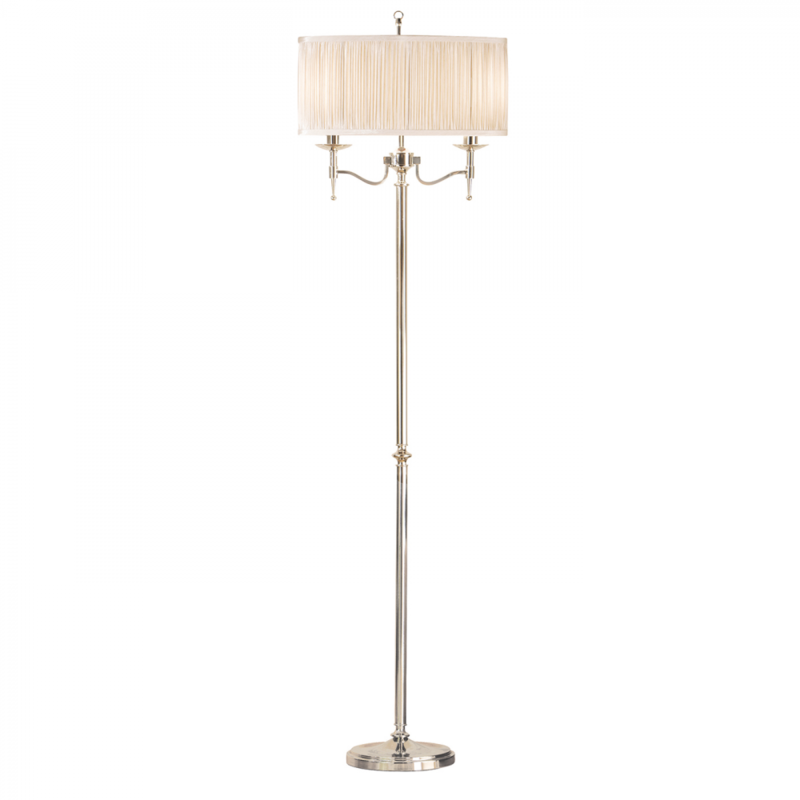 The Happy Homewares twin floor light is finished in polished nickel with angular arms and a beige shade, giving it a classical twist on its contemporary styling. Matching items available. 158cm height x 48cm width x 33.5cm depth.